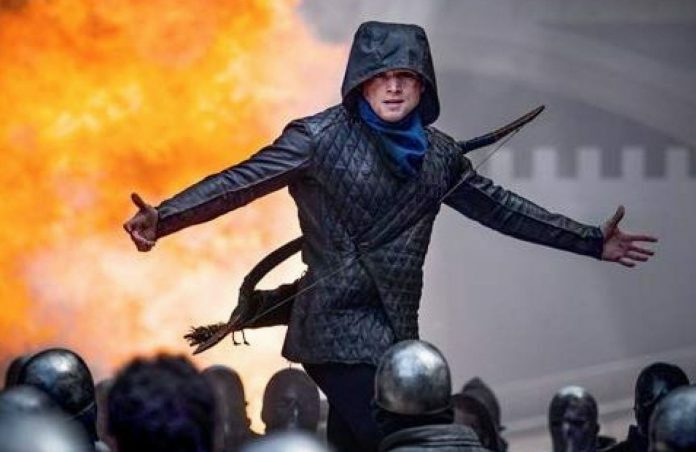 Robin of Loxley, a war-hardened Crusader, and his Moorish commander mount an audacious revolt against the corrupt English crown in a thrilling action-adventure packed with gritty battlefield exploits, mind-blowing fight choreography, and a timeless romance. Starring Taron Egerton, Ben Mendelsohn, Jamie Dornan, Paul Anderson, Jamie Foxx and Eve Hewson. Fantastic Beasts: The Crimes of Grindlewald (12A) 134 mins. At the end of the first film, the powerful dark wizard Gellert Grindelwald was captured by MACUSA (Magical Congress of the United States of America) with the help of Newt Scamander. But, making good on his threat, Grindelwald escaped custody and has set about gathering followers, most unsuspecting of his true agenda: to raise pure-blood wizards up to rule over all non-magical beings. In an effort to thwart Grindelwald’s plans, Albus Dumbledore enlists his former student Newt Scamander, who agrees to help, unaware of the dangers that lie ahead. Lines are drawn as love and loyalty are tested, even among the truest friends and family, in an increasingly divided wizarding world. Starring Eddie Redmayne, Johnny Depp, Jude Law, Zoe Kravitz, Katherine Waterston, Dan Fogler, Alison Sudol and Ezra Miller. On the centenary of the end of the First World War, Peter Jackson (The Lord Of The Rings trilogy) presents an extraordinary new work, revealing the Great War as you’ve never seen it. Using cutting-edge technology to transform images and audio captured a hundred years ago, Jackson’s passion project brings to life the people who can best tell the story: those who were there. Using only the voices of the men involved, the film explores the reality of war on the front line; their attitudes to the conflict; how they ate, slept and formed friendships, and what their lives were like away from the trenches. Reaching through the fog of time, Jackson aims to give these men voices, investigate the hopes and fears of the veterans who survived to tell their stories, and detail the humility and humanity of those who represented a generation changed forever by a global war. In this new take on the tragic love story, Bradley Cooper plays seasoned musician Jackson Maine, who discovers – and falls in love with – struggling artist Ally. She has just about given up on her dream to make it big as a singer… until Jack coaxes her into the spotlight. But even as Ally’s career takes off, the personal side of their relationship is breaking down, as Jack fights an ongoing battle with his own internal demons. Directed by and starring Bradley Cooper with Lady Gaga, Sam Elliott, Andrew Dice Clay, Dave Chappelle, Rafi Gavron, Anthony Ramos, Bonnie Somerville. A young athlete whose running days might be behind her, a compulsive liar, a shy researcher, a bitter old woman, and a little girl with a big secret – the only thing they have in common is the annual Wind Festival in Fula City. The festival celebrates the Legendary Pokémon Lugia, who brings the wind that powers this seaside city. 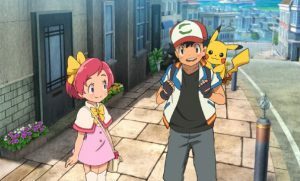 When a series of threats endangers not just the festival, but all the people and Pokémon of Fula City, it’ll take more than just Ash and Pikachu to save the day! Can everyone put aside their differences and work together – or will it all end in destruction?